Special evening holiday events in downtown Albion will begin this Thursday evening, Dec. 5. Children can have their pictures taken with Santa Claus on Thursday, from 5 to 7 p.m., at the former Pathways building on Fourth Street (next door to Julie’s Catering ‘N More). The first picture is free. This event is sponsored by Nick Krohn Photography and Country Laminates. Other upcoming events will be a free children’s movie and Super Saturday Shopping on Saturday, Dec. 14, and hay rack rides at the downtown mini-park on Thursday, Dec. 19. Watch for the “elves” who will be handing out Christmas Bucks and gift certificates at downtown businesses, and help to judge the decorated trees at participating businesses! 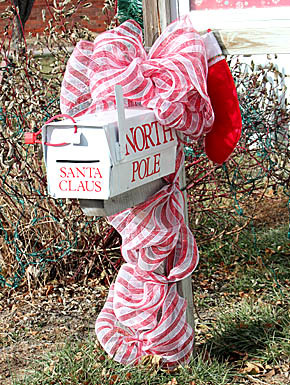 Children are invited to write letters to Santa Claus, and deposit them in the collection box at the downtown mini-park.